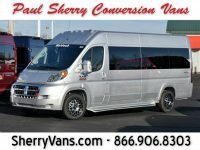 Stop searching high and low for your next conversion van and consider a Galaxy van from Paul Sherry Conversion Vans. Although we are located in Piqua, Ohio, we deliver across the country so you can get a high-quality van regardless of where you live. 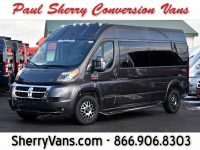 We pride ourselves on offering the top conversions, which is why we have a range of Galaxy vans available at any given moment. 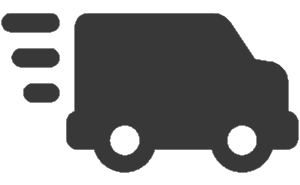 Whether you are searching for a custom mobility solution or something to transport a larger group of people, one of our Galaxy vans should fit your needs. 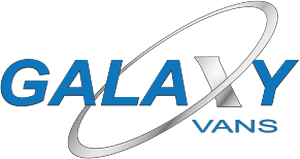 The Waldoch Company, which makes Galaxy vans, has been converting vans for over four decades, which is why we choose to work with this company. With its excellent experience throughout the years and range of vehicles it works with, it is easy to appreciate Waldoch’s projects. Waldoch is truly a family business known for its reliability and high-quality products. It mostly works with Ford and GM vehicles and has even won quality awards and survived economic downturns, consistently seeing a demand for its products. 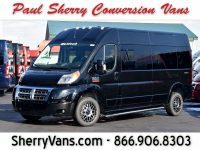 When you visit our dealership or browse our online inventory, you will get a better feel for our excellent selection of Galaxy vans. Most are based on either the RAM ProMaster or the Ford Transit, as those are the models that Waldoch has experience converting for its Galaxy vehicles. The vast selection includes versions that have been upgraded to deliver luxurious amenities, those that are perfect for shuttle service or limo service, and those designed to help passengers with restricted mobility. 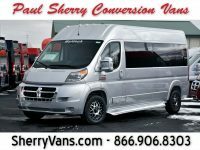 The luxury versions of Galaxy vans will have high-end features, like leather seating, molded trim, pleated shades, plush carpet, overhead lighting, and custom entertainment systems. Small touches, like sound-deadening insulation, give you a quiet ride while the roller shades by the windows let everyone block out the light. 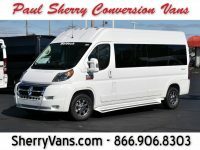 The shuttles can seat 12 or 15 passengers depending on the model you choose, and the limo vans take luxury to the next level with deluxe seating. 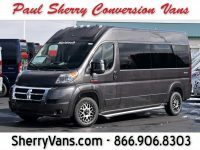 Most Galaxy vans you will find on our lot will even have several different layouts to choose from, as well, and Galaxy mobility vans can one to four wheelchairs at a time. 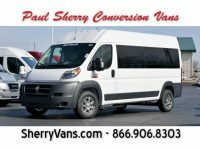 At Paul Sherry Conversion Vans, we understand that it isn’t always easy to find a vehicle that meets your requirements and is close to where you live. That is why we deliver to every single one of the 50 states in the country. This way, you can do all of your shopping right from the comfort of your home without worrying about anything. Check out our inventory online, give us a call, or chat with a customer service representative online. We make it easy to contact us and buy your Galaxy van. You can even fill out a contact form online if you don’t want to talk or take advantage of the live chat. 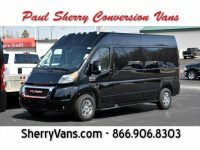 Because we have experience shipping our conversion vans across the country, we can even give you an exact shipping cost over the phone; just let us know where we would be sending the van. We make shipping economical so you don’t have to waste time and money driving hours or even days to your closest conversion van dealership before making the drive back with your new vehicle. Thanks to our delivery service, you can receive the Galaxy van without any miles on it; no need to add wear and tear on the drive from the dealership to your home or business. 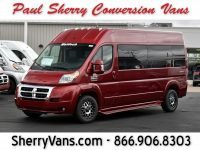 Our goal is to make it easy to own your Galaxy conversion van, which is why we also offer financing. We work with multiple banks, both local credit unions and national banks, so we can offer you the best financing options. With our rates, you will save time searching for an auto loan you can afford and save money since you will be paying less interest. We make it simple to apply for financing. There is a quick online financing application that you can fill out, and then our financing manager will work with you. Filling out the application won’t affect your credit in any way, and we always keep your information secure. 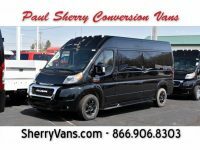 If you know that you want to drive a Galaxy van, then working with Paul Sherry Conversion Vans is a smart choice. We have a great selection, and our friendly staff will help you choose the model that meets your particular needs. Contact us to get the ball rolling and work toward owning your Galaxy van.